Showing results by author "William Lewis Manly"
Death in the desert under a relentless sun. 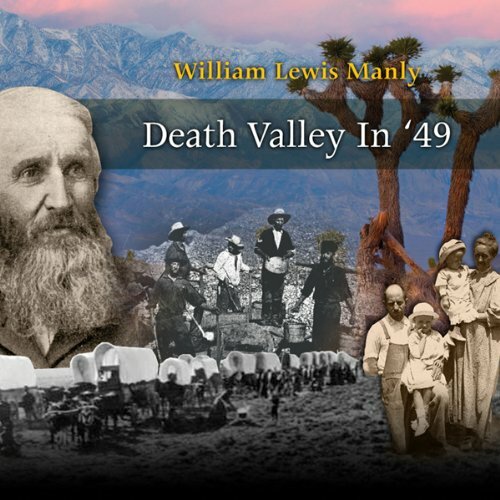 This is an eyewitness account of wagon train pioneer families in 1849, who faced the horrifying heat of what is now known as Death Valley, California and survived the ordeal through an act of incredible heroism. It is also a first person account, never before recorded as an audio book, of working the California gold fields, crossing through the Panama jungle and witnessing the horror of slavery in America. It is a unique document of history and adventure. William Lewis Manly lived through these events and wrote a personal account.